Everyday, it seems that I receive another email announcing some other group or elected official who endorses George Allen’s Senate bid. More and more people are climbing aboard the Allen bandwagon, but I cannot get on board. As I’ve mentioned previously, I was a very strong supporter of George Allen back in 2006. During that election cycle, there was nothing that I wanted more than to work for his re-election effort. Although I didn’t get a job with him directly, through my employment with the Republican Party of Virginia, I did get to spend a lot of time assisting his campaign. Like most Republicans and conservatives, I was both shocked and disappointed when he lost to Jim Webb by a narrow margin. When I heard that George Allen was running again in late 2010/early 2011, my first reaction mirrored the same excitement that I displayed back in 2006. Here is a conservative with almost universal name recognition who can reclaim one of Virginia’s two Senate seats currently held in Democratic hands. 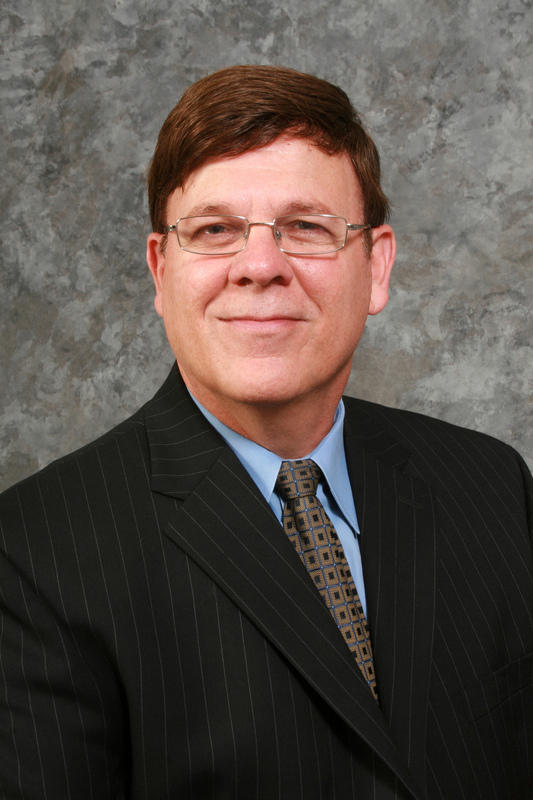 But then, at the urging of a handful of anti-Allen folks (some of whom have since either joined the Allen campaign or who have endorsed him), I delved into Allen’s record when he served as our Senator from 2000-2006. What I found would make just about every constitutional conservative cringe. Like many conservatives, as the Bush presidency dragged on, I became increasingly disheartened with George W. Bush for not only failing to rein in the power of the federal government but massively expanding instead, as well as failing to enact conservative legislation. But it wasn’t just the President who betrayed the conservative movement. After all, for a huge chunk of the 107th, 108th, and 109th Congresses, Republicans controlled both the United States House of Representatives and the Senate. For some unexplainable reason, I focused my frustrations on our President, while maintaining a rather rosy view of our legislators. Nevertheless, as our Congressional representation endorsed and advocated these plans, they should be held just as culpable. Let me outline what I feel are a few of George Allen’s most troubling votes while serving as our Senator. He supported passage of the U.S. Patriot Act in October 2001. George Allen, along with many other legislators voted to strip away some of our civil liberties in exchange for supposed security. This act vastly increased the power of the federal government by allowing previously illegal roving wiretaps done without a court order and spying on what books folks check out in libraries. You might be able to merely excuse his vote due to the widespread panic immediately following 9/11, but the fact that he voted to continue the program in October of 2006 meant that he had no qualms placing this country on the path to a police state. He supported passage of Aviation and Transportation of Security Act in October 2001. Are you happy with the TSA handling airport security? Does the idea of aggressively patting down your grandma and your children please you? How about revealing body scans? Again, we can thank George Allen for this situation. He supported No Child Left Behind in December 2001. The federal government has no Constitutional authority to be involved in the education process. Why should bureaucrats and legislators in D.C. have any control of an issue that is, depending on where you stand, the role of the states, localities, and most important, the parents themselves? He supported the Iraq Conflict Resolution in October 2002. Senator Allen voted to authorize use of force against the nation of Iraq while forces were already committed in another nation. This invasion set a dangerous precedent for pre-emptive war. As we all know now, we attacked a nation who posed no threat to the security of the United States. This action led to the death of over 4,000 U.S. soldiers, over 100,000 Iraqi civilians, and a cost to the American taxpayer of $1.9 trillion dollars. He supported Medicare Part D in November 2003. Senator Allen advocated the expansion of federal government meddling in the health care industry by voting for passage of the Prescription Drug and Medicare Improvement Act. From where in the Constitution does the federal government derive such authority? He supported raising the debt ceiling. Over the span of his six years in office, George Allen voted to raise the debt ceiling not once, not twice, but four times. How is repeatedly driving this country further into debt the mark of a fiscal conservative? Lastly, one of the defining marks of a limited government conservative is to actually eliminate unneeded, wasteful, or unconstitutional government. How many federal programs did George Allen eliminate or try to eliminate while serving as our Senator? Can you name just one of any substance? I sorely wish that I could. It is true that there are some good conservatives that voted the wrong way on one of these issues. One area of disagreement typically shouldn’t scuttle a politician. However, the fact that George Allen is on the wrong side of each of them is particularly troubling. Although some of my Republican friends may think openly questioning George Allen’s record tantamount to treason, shouldn’t we resolve these matters now, before both the primary and the general election? Last week, I heard that conservatives should support Allen because he has learned from his mistakes and now shares our values. I haven’t seen sufficient evidence to back up this claim and thus I don’t really believe George Allen 2011 is much different from George Allen 2006. Need proof? If you will recall, from my article on May 27th of this year, I wrote each Republican candidate for Senate asking, “therefore, as a Republican candidate seeking to represent us in the United States Senate, the burning question on my mind is, if elected, what federal programs, agencies, or departments will you work to eliminate?” Although George Allen stated that he planned to streamline a number of agencies and programs, unlike the other candidates he did not mention completely eliminating anything with the exception of Obamacare which is important, but not nearly enough. Read my article and decide for yourself. Now some people will point to Tuesday’s news of supposedly 100 tea party individuals who have endorsed George Allen’s campaign. Although I’m certain a handful of partiers will do so, it is becoming apparent that this claim is a hoax. From what I’ve read, quite a few of the people listed did not give their blessing and some of the people on the list aren’t even associated with the tea party. The Virginia Tea Party Patriot Federation, of which I am a member, released a statement dispelling the claims of the Allen camp. Nevertheless, I’d very much like to join with my friends and elected representatives who have endorsed George Allen. After all, Virginia needs a strong conservative voice who will stand up for the Constitution, our principles, and the people of the Commonwealth; we need a man or woman with strong convictions who will do what is right even if that means sometimes standing against the President and his or her own party. Given his track record from 2000-2006, like so many people in the tea party movement, I’m just not convinced the George Allen is the suitable person for the job. Sure, George Allen has more than established his credentials with the officeholders, but that fact alone doesn’t win either the GOP nomination or the general election. The challenge for both George Allen and his campaign is to prove to the tea parties, conservatives, Republicans, and average Virginians that he is the most principled candidate. Despite what some outlets are reporting, so far, they have not succeeded in doing so. 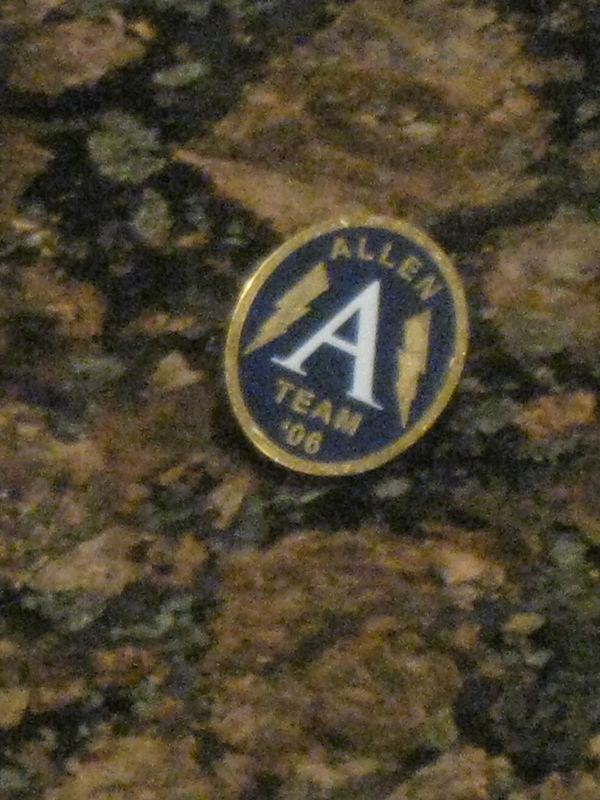 I prized my A Team pin when it received back in 2006, but I guess it will continue to gather dust. How unfortunate. Earlier today, I was sent a link to perhaps one of the oddest campaign ads I’ve ever seen. In it, due to her inflated sense of self-importance and hot air rhetoric, Senator Barbara Boxer (D-CA) transforms into a blimp. However, due to the extreme length of the piece, seven minutes, one does have to wonder if the piece is far too long to be effective. After all, in 2010 Senator Boxer defeated Republican Carly Fiorina, whose campaign created the ad, by 10% or 1 million votes. Of course, ninety-nine times out of a hundred one ad doesn’t make or break an effort. Anyway, watch it and decide for yourself. Thanks to Vicious Print for sharing. In a previous post, I shared two songs about Ron Paul written independently by the fans who love him. Today, I’ll like to offer another sampling of music. Sure, this song been around a few months; it has been available on iTunes since at least early October. However, if you haven’t been looking for Ron Paul materials, you could have easily missed it. I hope you will enjoy Jordan Page’s “The Light of Revolution” as much as I have. For the sake of liberty and constitutional government, Ron Paul 2012! Or, more appropriately titled, Life in the State of War Poor. The great political philosopher Thomas Hobbes had quite a lot to say about many subjects. In his work, Leviathan, he tackles desires, relationships, nature, power, religion and the government, just to name a few. However, I believe that there is rather an interesting parallel between today’s Occupy Wall Street movement and Hobbes’ state of war. Delving in to Chapter 13 of his book, we find such comparisons. Presumably, both those who work on Wall Street as well as those occupying desire the same goal, prosperity for oneself and one’s family. For example, according to OccupyWallSt.org, “The movement is inspired by popular uprisings in Egypt and Tunisia, and aims to expose how the richest 1% of people are writing the rules of an unfair global economy that is foreclosing on our future.” As the Wall Street workers have achieved this economic end while the occupiers have not, this difference in situation creates a tension between them. Perhaps the most important argument regarding this whole affair is whether the workers have achieved their riches through hard work or exploitation and whether the occupy force is simply a lazy mass demanding wealth that they have not earned or a down trodden and oppressed people. This article will not delve into this topic, but merely seeks to point out the driving force behind each side. Also, for the sake of this discussion, we will assume that the Occupy movement is a group of disaffected citizens and not a mob organized and paid by left-wing organizations as some have suggested. Although there is not currently widespread violence (thankfully), one group desires what the other holds and therefore will seek to deprive them of a portion or all of their wealth if given the opportunity. Thus, according to Hobbes, Wall Street and its occupiers are in a state of war with each other; inequality and poverty give way to class warfare. So, assuming we are plunging headlong into this horrid condition where violence between the haves and the have-nots is merely one spark away, what is the proper remedy? Interestingly, both Hobbes and the Occupy movement seem to seek the same solution, a strong central government. Surely centralized power can right these income disparities! Surely our lives, liberty, and property are best protected by a state of increasingly limitless power! Is the prospect of some financial gain worth sacrificing our political freedom? Fortunately, when reacting to the abuses of the British, our founding fathers chose to model our nation upon the principles of limited government advocated by philosophers like John Locke than the totalitarian ones espoused by Thomas Hobbes. Another major political protest group, the tea party movement offers a different solution to this problem. As Gerald Ford famously stated in 1974, “A government big enough to give you everything you want is a government big enough to take from you everything you have.” Although I will freely admit that there are injustices in our society, I predict that expanding government power will only exacerbate the existing crisis. After all, haven’t subsides, tax loopholes, and excessively meddlesome regulation through our existing government helped give birth to many of the woes that the Occupy movement seek to improve? Just about everyone would like to see an upswing in the economy. Living in poverty, not knowing how or where one will live one week or month to the next is not a situation that one can stomach for long. It is easy to fall into the trap of base desires, jealously coveting the treasures of neighbors, but these passions only lead us into hate. I know that it is tempting, but, unlike Hobbes and the Occupy movement, don’t give into the lure of expanding government power for a remedy. Doing so will not create either liberty or long-term prosperity, but rather more widespread and equalized misery as all of us are further shackled in the bonds of economic slavery. During the election, you may recall the heated rhetoric on the need to “flip” the Virginia Senate so that conservatives would finally control that body. Well, earlier today the Republican Party announced the new leadership team now that the GOP has once again claimed control of the Virginia Senate. Personally, I’ve been looking forward to hearing if Senators would put strong conservative fighters in charge. Starting off from lowest position to highest, we begin with the caucus whips, Senators Bill Stanley, Jeff McWaters, and Jill Holtzman Vogel. According to the newly released data from The American Conservative Union, these three Senators have conservative ratings of 100%, 92%, and 85% respectively. Not too bad, I would say. Moving on, we have the Majority Leader’s deputies, Senators Ryan McDougle and Steve Newman who have ACU ratings of 92% and 100%. Again, they are both quite high. But who is the new Majority Leader? Senator Tommy Norment of James City County. And what is his conservative ranking with the ACU? 62%. 62%! You might be disappointed to discover that he is ranked the least conservative of any of the Republican members of the Virginia Senate. To get a better picture, let’s look at the bills where Senator Norment has not voted conservatively according to the ACU. “1. 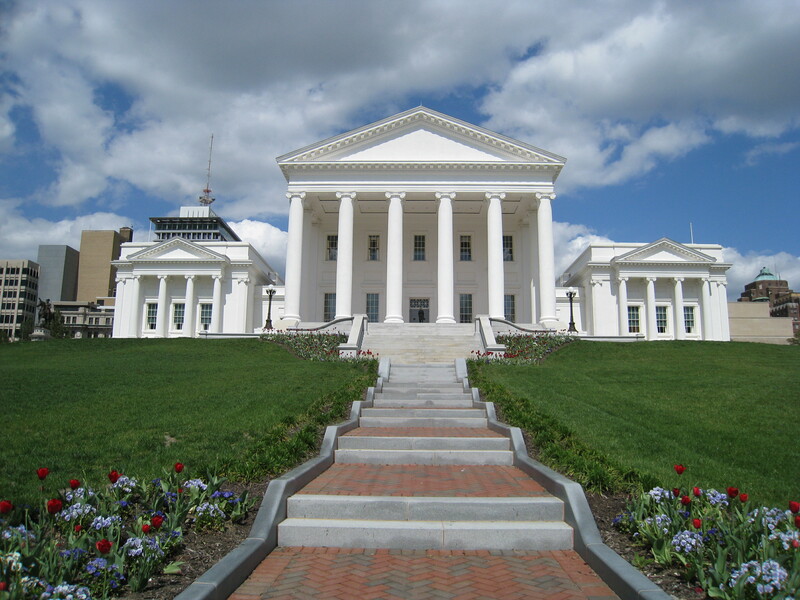 Amend Virginia’s Fraud Against Taxpayer Act. SB 831. This bill would have limited the attorney general’s authority to investigate fraud by state agencies and institutions and their wasting of taxpayer dollars on any number of dubious practices. ACU opposes limiting the accountability of state government to its taxpaying citizens. The Senate voted to pass this bill 24-16 on February 3, 2011.” Norment supported. “2. Special Rights Based on Sexual Orientation. SB 747. This bill would have created a protected class for homosexuals in state government employment. ACU opposes creating special rights or new classes of people based on their personal behavior. The Senate passed this bill 22-18 on February 2, 2011.” Norment supported. “4. Expand FAMIS Plan Eligibility. SB 978. This bill would have increased the threshold for eligibility for the Family Access to Medical Insurance Security Plan (state version of CHIP) from at or below 200 percent of the federal poverty level to at or below 225 percent. ACU opposes the expansion of government-run insurance programs. The Senate voted to approve this bill 33-7 on February 7, 2011.” Norment supported. “9. Defunding Public Broadcasting. HB 1500 (Budget Bill) Governor’s Amendment #17, Item 123. Governor Bob McDonnell offered an amendment to the General Assembly’s budget proposing the elimination of funds to Virginia’s Public Broadcasting stations. ACU supports eliminating funding non-core functions of government. 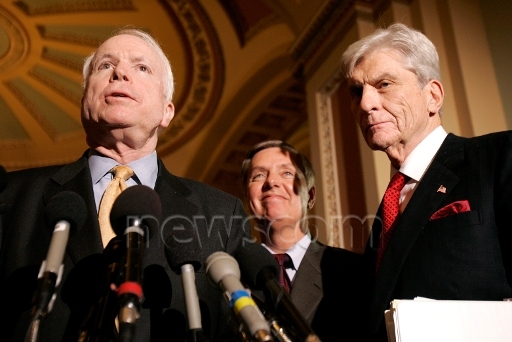 The Senate killed the amendment by a vote of 13-27 on April 6, 2011.” Norment opposed. “13. Reform The Virginia Retirement System. HB 1500 (Budget Bill) Governor’s Amendment #86, Item 5. This budget amendment from Governor Bob McDonnell would put in place reforms to the Virginia Retirement System, including authorizing an optional defined contribution plan for newer employees—ACU supports efforts to reform unsustainable state retirement systems. The Senate, on April 6, 2011, rejected the amendment by a 14-26 vote.” Norment opposed. But let’s not rely solely on the opinions of the American Conservative Union. How about another conservative measurement device? Before each General Assembly election, The Family Foundation releases their report card detailing how “pro-family” each member of that body happens to be. Going through the same list of Senator leaders this year, we find the following scores: Stanley 100%, McWaters 100%, Vogal 100%, McDougle 100%, Newman 100%, and finally Norment with 65%. Scanning through the rest of the list, are there any Republicans in the Senate with a lower score than Norment? Not only is the answer no, there is even one Democrat who ranks higher, Senator Puckett. “2. Non-Discrimination for Sexual Orientation (same as with the ACU above).” The Family Foundation opposed, Norment supported. “3. Redirect Pro-Choice License Plate Funds SB18 amendment-Would have redirected the pro-choice license plate funds from Planned Parenthood to the Virginia Pregnant Women Support Fund.” The Family Foundation supported, Norment opposed. “10. FLE Required SB967-Would have required localities to teach family life education and would have added anti-abstinence language to FLE law.” The Family Foundation opposed, Norment supported. “11. Expanded Horse Gambling SB1347-Would have expanded gambling in Virginia by redefining simulcast horse racing to included live or pre-recorded horse races.” The Family Foundation opposed, Norment supported. “13. State Domestic Partner Benefits SB1122-Would have allowed the state government to offer domestic partner benefits to unmarried relationships.” The Family Foundation opposed, Norment supported. “14. Just Compensation HB652-Would have required the government to pay property owners for the total loss of value when property is taken eminent domain.” The Family Foundation supported, Norment opposed. What about gun rights? Is the second amendment important to you? After a phone call earlier today, I discovered that in 2011, the National Rifle Association graded him a B- and would not endorse him for reelection. Going back further, the NRA grades Senator Norment as follows: 2007-B, 2003-D, 1999-B, and 1995-B. As I mentioned back on November 9th, I do not want a Senate Republican leadership in the mold of former Senator John Chichester who gave Virginians what has been billed as the “largest tax increase in Virginia history”. Well, with a little help (thanks to The Family Foundation), I’ve discovered that only six of the Republican Senators who supported that measure are still in office. They are: Harry Blevins, Emmett Hanger, Fred Quayle, Frank Ruff, Walter Stosch, and, you guessed it, Tommy Norment. Although there many different definitions of conservative and thus many stripes of conservative, given Norment’s voting record as shown by the ACU, The Family Foundation, and the NRA, just about every flavor should be concerned by this news. What I want to know is why in the world is the Republican Senator who is arguably the least conservative of them all given the top spot as Majority Leader in the Virginia Senate? And, just as importantly, will Senator Norment use his powerful position to either block conservative legislation or promote laws contrary to conservative ideals? Is this situation a case of meet the new Senate (2011-2015 under Norment), same as the old Senate (2003-2007 under Norment)? So has the GOP learned from the mistakes of 2003-2007 when they last controlled the Virginia Senate? Or with rewarding the not very conservative Norment as Majority Leader once more, have conservatives been led down the primrose path? Using video games to promote a political or religious message isn’t a new concept. I’ve played a handful of them over the years on the Nintendo and Super Nintendo systems. In general, the common thread among them is that the programmers spend too much time promoting their message and not enough effort making a great game; and by great game I mean one that is fun, has easy to use controls, an entertaining storyline, and is visually attractive. Well, the People for the Ethical Treatment of Animals are hard at work recreating video games from our past. In one of their latest forays, they offer social commentary about the game Super Mario Brothers 3, only about twenty or so years since its release. Their game, Mario Kills Tanooki features a pissed off tanooki chasing Mario flying overhead. The fur Mario wears drips with blood, indicating that it was recently and cruelly removed from the creature chasing him below. Obviously, PETA’s commentary is clear. Don’t wear the skins of animals. However, they’ve missed the whole point of how Mario acquired the tanooki suit in the first place. As I remember, in the original game it shows that he doesn’t get it through killing an animal, but rather collecting a magical leaf which morphs him into a half tanooki/half man character. When you play the game, it doesn’t run like Super Mario Brothers 3, but rather more like the first Super Mario Brothers. It is side-scroller, as both are, but you cannot go backwards and the game pushes you on at a breakneck pace whether you care to go that fast or not. I guess the speed fits with the supposed urgency of recovering your stolen skin as quickly as possible, but personally I did not care for that element. The graphics are the best feature of the game. Harkening back to the 16-bit era, they are reminiscent of Mario’s first adventure on the Super Nintendo, Super Mario World. The background landscape is coated with ketchupy kind of blood, further reinforcing PETA’s ideology. Regardless of effort in visual imagery, I would rate this game as a failure. For starters, they beat Mario over the head with the “fur is murder” line even though he didn’t kill anything to get his suit. How can you effectively promote your ideology when you begin with an incorrect premise? Second, the controls are too frustrating to make for an enjoyable experience. Third, the game map itself is randomly generated each time you start. Every so often, you have to just jump more or less blindly and hope that it doesn’t lead to your death. Just because I don’t happen to agree with PETA’s purpose, that doesn’t mean that they are incapable of making something enjoyable…at least from a gaming standpoint. For a good example, I recommend that you check out the Super Chick Series. In those two games, you take the role of a chicken wearing either a Mario or Luigi looking hat and race to save your poultry brethern from either the clutches of Kentucky Fried Chicken or McDonalds. Although they still come down a bit too heavy on their message for my tastes, at least they are fun to play, have Super Nintendo style graphics, and include a mildly amusing storyline. Anyway, if you care to try out Mario Kills Tanooki for yourself, you can do so here. I haven’t seen Corey Stewart in the city of Harrisonburg since he spoke to the Shenandoah Valley Tea Party back on February 24th. At that time, he spoke primarily regarding The Rule of Law Campaign, but also explained how George Allen was a poor legislator during his time in the United States Senate. Although I could discuss in length how his recent flip-flop on the former Governor greatly tarnished my opinion of him, that topic must wait for another article. I know most conservatives don’t care for Amnesty International and I will confess that I don’t like some of their positions, such as their opposition to Virginia’s death penalty. However, when it comes to issues like torture, this group serves an important role as a watchdog to protect citizens and foreigners alike from abuse. I’m guessing that I will not agree with the message of 9500 Liberty. After all, protecting our borders is one of the primary Constitutional duties of the federal government. If Washington D.C. cannot or fails to prevent aliens from entering our country illegally, then it falls to our state and local governments to pick up the slack. In general, I’ve been supportive of the efforts of folks like Corey Stewart to battle the influx of those people who have violated our laws. So why should we watch the film? Well, even if you happen to disagree with the political premise, that doesn’t mean that the movie has no value. After all, although I wouldn’t rate Fahrenheit 9/11 as a particularly great work, it did raise questions that needed to be discussed. So too could 9500 Liberty. I hope it is more than mere liberal propaganda. In case you are interested, 9500 Liberty will be showing on November 15th from 7 PM to 9 PM at JMU’s Memorial Hall in room 2210. Love it or hate it, my hope is that this movie will expand the political dialogue. I suppose that there is only one way to find our for sure. Currently, five candidates are vying for the Republican nomination for the Senate seat currently held by Jim Webb. But could a sixth soon join the fray? As far back as two years ago, I began wondering if Delegate Bob Marshall would seek Virginia’s Senate seat again. After all, in 2008 he came within a handful of votes of upsetting the establishment favorite, former Virginia Governor Jim Gilmore, at the Republican convention. Along with Corey Stewart, rumors swirled that Marshall would run after he won re-election. Throughout the past forty-seven or so months, the topic keeps popping up. On multiple occasions, including The Leadership Institute’s 4th of July Soirée and the Agenda 21 presentation in Verona, I’ve spoken with several folks with very close connections to Delegate Marshall who indicated that he would enter the contest. Now that his House of Delegates election is over, he can now focus on this race…assuming he chooses to do so. But what are his chances of success? Has the race solidified sufficiently to severely hinder any new entrant? Have the coalition of activists and politicos that rallied behind him back in 2008 already selected a candidate in this race? Well, it is true that Marshall’s former campaign manager has joined the Allen campaign, many social conservatives are supporting E.W. Jackson, and Jamie Radtke is working her tea party contacts. Earlier, I argued that waiting until after Election Day 2011 would be too late for any candidate. But perhaps I was mistaken. After all, the field still seems pretty divided. In addition, Delegate Marshall enjoys the highest name recognition of the non-Allen candidates. For example, the marriage amendment to the Virginia Constitution bears his name as the Marshall/Newman Amendment. If can gather together his loyal band of activists from the 2008 convention, maybe he can position himself as the best conservative alternative to Allen as he did with Gilmore three years ago. Then again, perhaps Radtke, Donner, Jackson, or McCormick is already on his or her way to capturing that title. So will Bob Marshall announce? I cannot say for certain, but I expect we will have our answer very soon. A few moments ago, I returned from Bridgewater College where U.S. Senate Candidate David McCormick spoke to the Bridgewater College Republicans. Now, this meeting was important for several reasons. First, it heralded the return of the CR organization to the campus. When I worked for the Republican Party of Virginia back in 2006, I was a bit disappointed to discover that the CRs here seemed a bit disjointed. As it turns out, that group disbanded shortly thereafter and has just been re-recognized by student activities only recently. Second, it gave me a chance to listen to and also speak with David McCormick. As I stated in my review of the Verona debate, Mr. McCormick began to draw my attention during the latter half of the event. Therefore, I had been looking for an opportunity to learn more about him. Tonight provided such a chance. He didn’t offer some great and lofty speech, but rather asked each of us individually what issues were important and then offered his opinion on that subject. Topics of interest included: taxes, federalism, immigration, energy independence, and foreign policy. Although this style of presentation is downright impossible for a huge gathering, I believe it was a very good idea for a group our size as it invited each of us to participate in learning who David McCormick is and what he stands for. After the evening came to a close, I had a chance to chat with Mr. McCormick in the parking lot about campaigning, Virginia politics, the tea party, and other related matters. I’m guessing we could have continued for an even longer period of time if it wasn’t so cold outside. It makes sense that as we are both conservatives, we would share a lot of the same political concerns. However, what impressed me the most was his honest sincerity to change Washington for the better. As the 2011 elections are now a thing of the past, more and more people will begin focusing on 2012. Republicans have five choices for Senate; do you currently know enough about them to make an informed decision? If you care to hear David McCormick in person for yourself, he will be returning to the Shenandoah Valley in about thirty-six hours. On Saturday, starting at 9:30 AM, he will be speaking at the next gathering of the Shenandoah Valley Constitutional Conservatives. They meet at the Denny’s in Mount Jackson. Thanks again to the Bridgewater College Republicans for hosting this event. I’m looking forward to hearing of more of your political activities in the coming months.